As a partner at Lewis Brisbois Bisgaard & Smith, LLP, Gary Bresee represents insurers in a variety of insurance coverage matters, ranging from the preparation of coverage opinions, analyzing suspicious insurance claims, and handling coverage litigation. Gary has also represented insurers regarding cyber security coverage for information security and privacy matters, including the evaluation of data breaches, DDoS attacks, cyber extortion, responding to regulatory investigations, and handling the responses to consumer lawsuits. 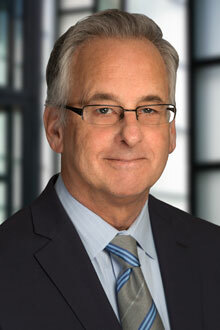 Gary is a trial attorney with experience in complex business litigation, including construction defect cases, environmental coverage disputes and insurance bad faith claims. Finally, he has been retained as an expert/consultant, which has included the preparation of written reports, deposition and trial testimony, on the issues of the reasonableness of attorneys' fees and litigation costs.